Wow, a whole year has gone by! January 1rst is just around the corner! 2009, imagine that! Wow! 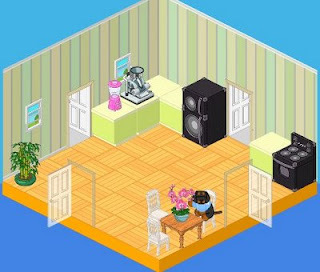 Look at my Webkinz house! Here is Lupine the Dachshund in the kitchen... I wonder what he's gonna cook? 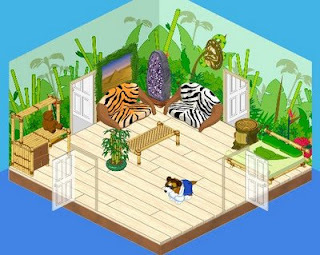 Here's Professor Vermeer VanGogh the collie in his jungle themed room! 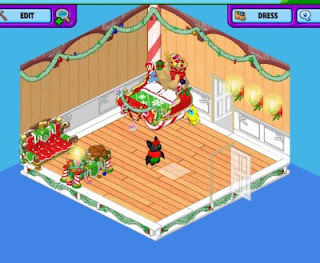 Here is Sunny the bat's Christmas room, she's so excited about it, she's waving! 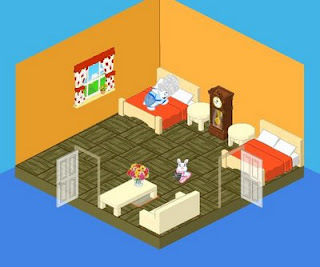 And here is Chica the lil' rabbit and Elsie the white terrier's room, doesn't it look cheerful? I hope you liked my rooms! Wait for more, because my other rooms are not completley done yet, but I'll post them as soon as they're done! We got a new camera! You may know what that means... pictures coming out of our ears! 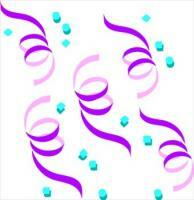 Pictures of my drawings, my webkinz house, my birds, Christmas morning (which is in 5 DAYS!!!!!) and more! Yippee!! A camera!